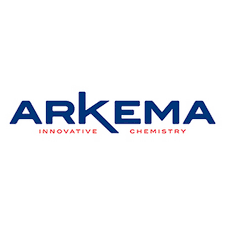 A designer of materials and innovative solutions, Arkema shapes materials and creates new uses that accelerate customer performance. Our balanced business portfolio spans High Performance Materials, Industrial Specialties and Coating Solutions. Our globally recognized brands are ranked among the leaders in the markets we serve. Reporting annual sales of €8.3 billion in 2017, we employ around 20,000 people worldwide and operate in some 55 countries. We are committed to active engagement with all our stakeholders. Our research centers in North America, France and Asia concentrate on advances in bio-based products, new energies, water management, electronic solutions, lightweight materials and design, home efficiency and insulation.